Angel's View Wedding Chapel has a one of a kind stone tower that has a 180 degree opening overlooking the mountains to say "I DO" to your loved one. Our chapel and stone turrett was hand crafted and hand designed. Stained glass throughout the chapel and the tower are handcrafted by a local artist. We want your wedding day to be a beautiful day to remember. 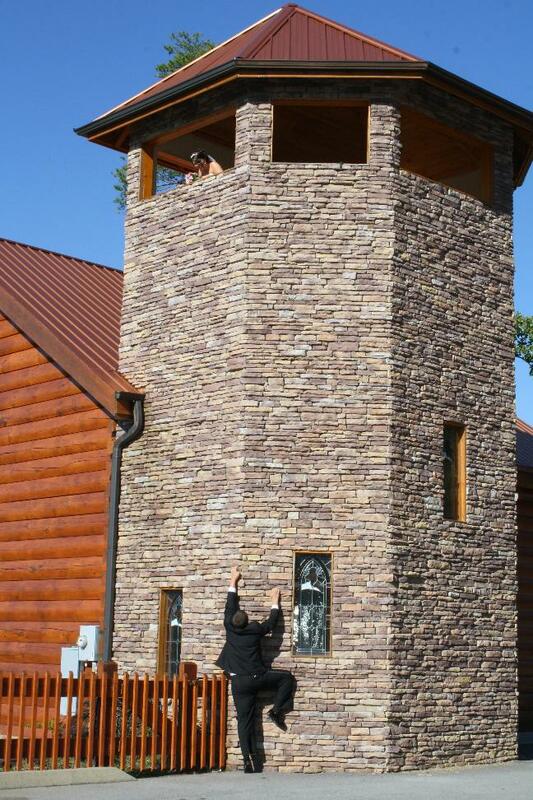 Below are more photos of our one of a kind stone tower. All jokes aside, this stone tower is built for 2 to 6 people including the minister along with the photographer to either renew your intimate vows or just have an intimate wedding ceremony. It is a stone turrett that is fit for a princess. 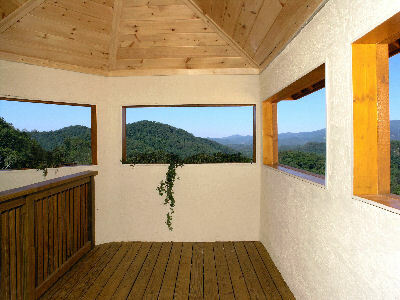 It is a one of a kind here in The Great Smoky Mountains with a 180 degree view. Very Romantic. Here you can book a "Just The Two of Us Package"
Just the Two of Us – Weekday – $249+tax Weekend $299+taxCeremony with Ordained MinisterCandle light ceremony with music. Your package includes one song for the processional and one song for the recessional. The price of your package does not include live music or instruments.Your photo package will include 12 4×6 portraits in an album from a full photo shoot. We shoot photography in our chapel: before, during, and after the ceremony. We use our cinderella ball carriage, outdoor mountain overlook with many candid and posed frames. We are also including Custom Made Just Married Sign. Please ask your wedding coordinator if you need to add hair and make up, flowers or a cake to your "Just the Two of Us Wedding Package". The Views from the Stone Turrett are breath taking. 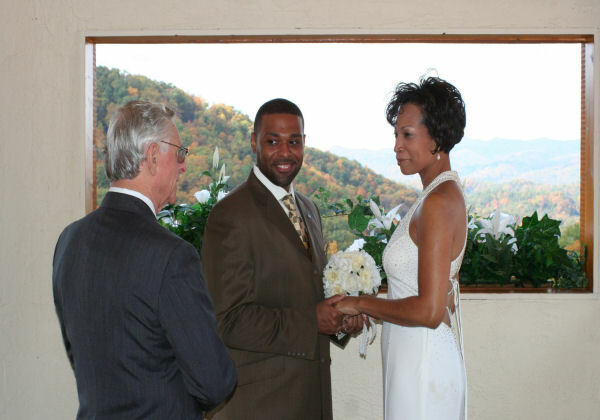 Just a few steps up to make your Wedding Day Perfect and Memorable!